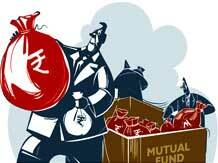 Aiming to attract risk-averse investors seeking short-term returns, mutual fund companies have lined up at least 26 Fixed Maturity Plans (FMP) and have filed draft documents for them with market regulator Sebi. The documents for these New Fund Offers (NFOs) have been submitted with the Securities and Exchange Board of India (Sebi) since July and the schemes will be opened for subscription soon after the necessary clearances. Of these, 16 draft offers have been filed in August so far, while the other 10 were filed in July. The fund houses that have lined up these FMPs and Fixed Tenure Plans (FTPs) include HDFC, ICICI Prudential, L&T, Peerless, IDFC, Tata, Kotak, IDBI, Baroda Pioneer and Religare. Besides, LIC Nomura, J P Morgan and Birla Sun Life are launching more than one NFO in the fixed-maturity plan segment. FMPs mainly invest in specified duration instruments like bank certificates of deposit (CDs) and commercial papers (CPs), which are issued by companies and usually have tenures of a few months or a year. The average return from FMPs have been in the range of 10-11% in the past few years. Due to higher subscription amounts required, they are largely positioned for corporate as well as institutional investors. According to industry experts, the fund houses with their FMPs are looking to tap those investors who want to invest in close-ended funds with a lock-in strategy and lower interest rate risks. "In these volatile times, fixed-maturity plans and short- term funds offer good options for investors to invest as short term interest rates have jumped by 200-300 basis points in the last few months. Besides, they would offer good return to investors," Indiabulls Mutual Fund Chief Executive Officer Sanjay Chandel said. "In fact, FMPs score better than bank deposits due to their tax efficiency," he added. The benchmark 10-year bond yield has jumped around 100 basis points to nearly 8.3% from 7.5% levels, in the less than two months. RBI's liquidity tightening measures to strengthen the rupee has pushed interest rates upward. Following RBI's move, assets under under management of mutual funds in the debt fund category (liquid funds) fell by over Rs 45,000 crore to Rs 1.29 lakh crore in July because of large-scale redemption. Bond yields and return on debt funds move in opposite directions, that is, as bond yield increases return falls and vice-versa.